Kick back and prepare to get comfy with this plush pink velvet Kenzi two-piece sectional. 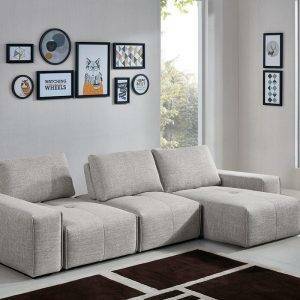 This curved sectional provides ample space for you to spread out and take a luxurious nap, or cuddle up with your whole clan and watch a movie in the evening. 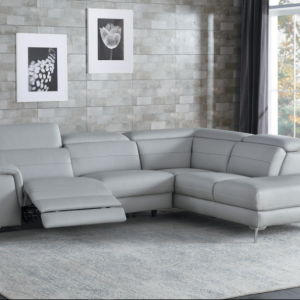 Deep button tufting adds texture to its plush gray velvet upholstery, and its contemporary design makes this a sectional sofa the perfect focal point for any modern living room.